Zotac's Magnus EN980 packs a full-on water-cooled GeForce GTX 980 and Skylake processor. 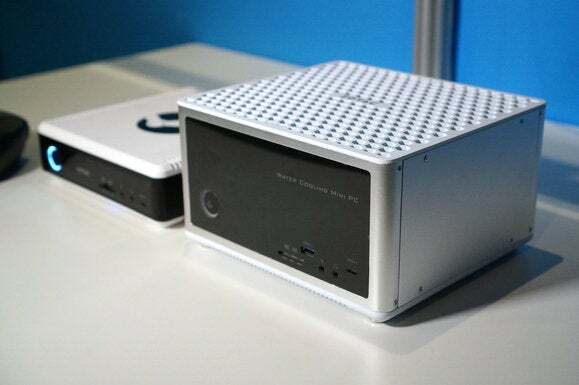 If you want VR in your living room but don't want a PC bigger than a small child to run it, Zotac has a pint-sized VR-ready Magnus EN980 that might excite you. Zotac teased its Magnus last week, but on Wednesday, I got to actually touch the sole prototype in the United States, and it’s a dozy. The PC measures approximately 9 x 8 x 5 inches. Inside you’ll find a Core i5-6400 and GeForce GTX 980. Both are liquid-cooled using a closed-loop cooler and 120mm radiator and fan. That GPU is not to be confused with the full-length desktop card of the same name. It’s actually the laptop version of the confusingly named GeForce GTX 980. Confusion aside, the card is rated by Nvidia for VR in laptops. In my tests of laptops with the same GPU, I've found the card to be every bit fast as the desktop version. The CPU is socketed but Zotac officials tell me it’ll take major surgery to get to it. It’s not impossible, but it’s not intended to be messed with. The same goes for the GeForce GTX 980, for that matter, which sits in an MXM module that is technically serviceable but not for the faint of heart. The only truly serviceable parts are accessed by removing the bottom of the device, which reveals two DDR3 SO-DIMM slots, a spot for a 2.5-inch hard drive or SSD, and an M.2 slot. 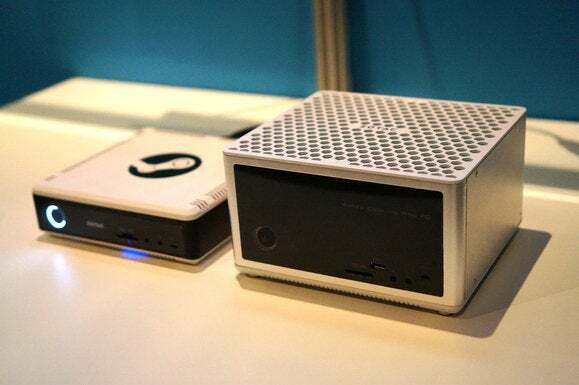 Like an Intel NUC or Gigabyte Brix, there isn’t much to the Magnus. The choice of RAM is an interesting one. I expected DDR4 modules to match the Skylake chip, but Zotac said it decided to go with DDR3L because it’s easier to buy. The M.2 setup will be a little disappointing for performance freaks. 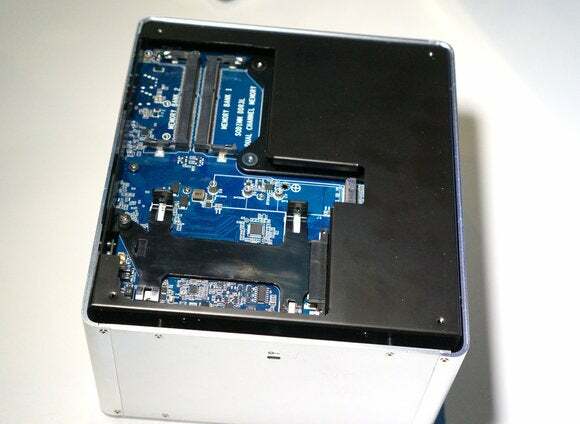 M.2 can be wired to run on PCIe or over SATA, and Zotac choose the later. I’m not certain, but it’s possible this is due to a lack of PCIe lanes in the chipset. The chipset model wasn’t disclosed but I’m told it’s a 100-series Intel part. 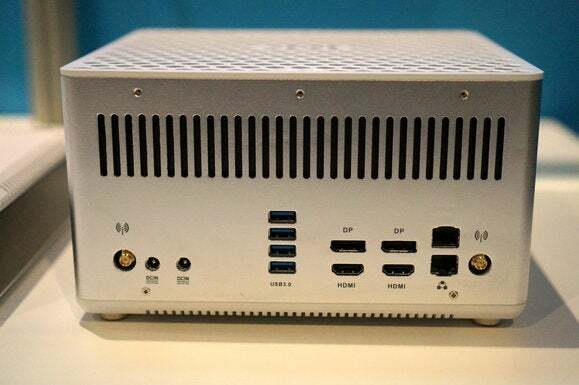 The Magnus EN980 will give you four USB 3.0 ports, two DisplayPorts, and two HDMI ports. The port setup is reasonable and includes four USB 3.0 ports (but oddly not USB 3.1), two DisplayPorts, and two HDMI ports. There’s also two gigabit ethernet ports plus two antenna ports for the 802.11AC. The unit features two power plugs that go to the same power brick. One plug powers the PC’s components while the second powers the CLC water cooler in the box. Zotac officials were still finalizing the specs for the HDMI and DisplayPort but I’m hoping for HDMI 2.0 so it works with 4K Ultra HD televisions. Televisions rarely if ever have DisplayPort. The Zotac EN980 (right) has almost the same footprint as the Zotac SN970 (left) but is obviously much taller. The front port configuration is a little unusual. You get a USB Type A and USB Type C, both of which are USB 3.1 Gen 2, which means “full” 10Gbps speeds. (Why there isn’t USB 3.1 on back I don’t know.) Both are powered by an Asmedia chip so there’s no Thunderbolt 3 or DisplayPort functionality from these. You also get an SD card reader and analog audio ports. 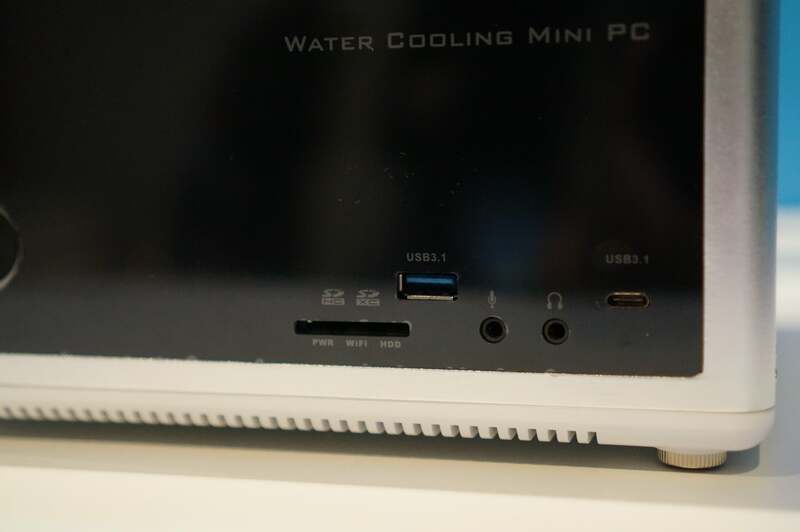 Oddly, the USB 3.1 Gen 2 10Gbps ports are only on the front. Zotac says its hasn't set a price yet but I’m going to guess it’ll be between $1,500 and $2,000. Here's my reasoning: You really can’t buy into a gaming laptop for less than $2,200. But that includes OS, RAM, Storage, keyboard, and monitor, too. The EN980 will come bare-bones, so you’ll have to add RAM, storage, and OS. There's a price premium for small computers but I can’t see this costing close to what companies charge for an entire laptop. The Magnus won’t be available for a few months, with this summer as the target. Zotac has no plans for a Steam version just yet, so it’ll likely be Windows for most machines initially. 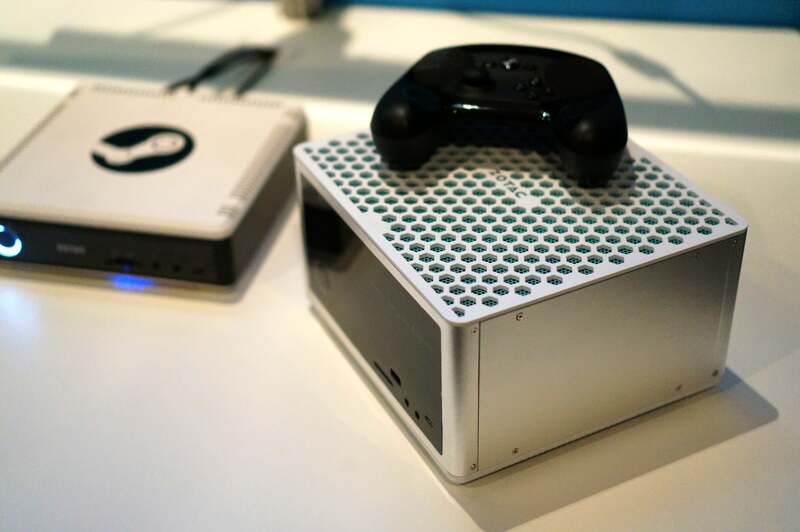 The Zotac EN980 with Valve’s Steam Controlller on top.